Solar panels in The Villages, FL, are already known for their efficiency, but you can save more money on energy bills and reduce your carbon footprint even further by taking certain steps. Improved attic ventilation is one of these steps, and some people and households could use it more than others. If you’re ever unsure of whether your home is as efficient as it could be, you might want to talk to the professionals about your options. Continue reading for a look at some signs that your attic could use better ventilation. Heat rises, which is why your attic can get so hot. If this heat can’t escape, it will increase the temperature within your attic and ultimately your entire house. While insulation is designed to keep heat in, ventilation is geared towards the opposite purpose. Proper ventilation will allow you to keep your home cool, which is especially important during the warmer months. The more heat you have in your home, the more energy your air conditioning system will need in order to keep cool air circulating. A solar-powered fan for your attic can help to reduce temperatures without increasing your energy bills. Even though you might like to use your pool to escape the heat, it’s still nice to keep your water at a comfortable temperature so you don’t go from being too warm to being too cold. If you want to do this as economically as you can, you might want to look into residential solar panels in Ocala, FL. Solar energy offers a plethora of benefits that alternatives like gas power can’t live up to. Take a look ahead to see why choosing solar over gas for your pool heater might be the way to go. Sometimes gas heaters come with a cheaper upfront price tag than solar heaters, convincing consumers that they’re getting a better deal by going with gas. In other cases, however, solar heaters are the ones boasting the cheaper prices. Regardless of how much you initially spend on your unit, you should be aware of the massive potential for savings that a solar pool heater can offer. Rather than paying for gas each month, you’ll enjoy your heat for no cost at all thanks to the sun. Additionally, sunlight is a resource that we are not in danger of running out of, and it’s perfectly safe to use. In today’s day and age, there are plenty of options when it comes to powering your home and its appliances. If you’re looking to follow the trends and go with solar panels for your home in the Villages, FL, you’ll enjoy quite a few benefits. You should always know the ins and outs of what will power your home, so it’s important to ask the right questions. Keep reading for some frequently asked questions—and their answers—about residential solar panels. Will Solar Panels Save Me Money? You need power for everything from your lights to your pool heater, and there are a couple of different fuel sources that you can use. The bad news is that most sources of fuel are expensive, and these costs can add up quickly. The more appliances you need to power, the more you’ll need to spend on energy. If you want to cut costs and enjoy some more financial flexibility, you’d be wise to look into solar panels for your home. As long as you have them installed properly and your home gets enough sunlight, solar panels can take a substantial chunk out of your energy costs. In turn, they can pay for themselves after enough uses. The sun is going to keep shining down on us whether we like it or not, which means there is an endless source of clean, renewable energy that is constantly beaming down on our planet. When you use solar panels for your home, you won’t rely so heavily on other types of fuel. This is great news because it means we can shift our attention to renewable energy rather than using up resources that we can’t get back. Solar panels are intuitive, but you should be aware that poor installation can seriously take away from the effect of your solar system. When you have the professionals perform solar panel installation, you can trust that they will do an excellent job. Your panels will be positioned properly so that they can gather sunlight, making them as efficient as they can be. Getting to the office just to experience the same dimly lit atmosphere that you do every other day can be a drag, and it can affect your team and your business as a whole in a few different ways. 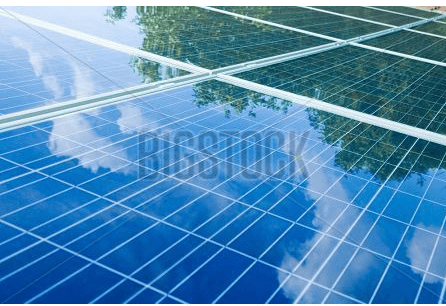 Commercial solar panels in the Villages, FL , will bring down your energy bills, encourage your employees to be more productive, and lessen your impact on the environment. If these advantages sound like they are needed at work, read on and brighten up your office with solar tubular lights. When you own a business, everything costs money. From paying your employees to keeping the lights on, there are costs associated with everything. That’s why it’s extra-refreshing to realize that the right solar system can power your office free of charge. Solar tubular lights harness light energy from the sun, and they then release that light into your office building. Since it doesn’t cost any money for the sun to shine, you can expect your energy bills to drop significantly. Spending all day every day in a dreary office with little to no natural lighting can seriously bring down your mood. In turn, this can affect your productivity. It’s tough to stay motivated when you’re being mentally and emotionally dragged down, and the lack of vitamin D can even take a toll on your health. If you want your office to be buzzing with productivity, solar panels might be the ideal solution. Your new solar system will flood your commercial workspace with natural light. This can put your employees in a better mood, allowing them to focus on their work rather than daydreaming about being on a sunny beach. Sunlight is still an underused resource, which is sometimes baffling considering the lengths we will go to in order to acquire nonrenewable resources. The more we collectively use solar systems, the less we will need to rely on these expensive, potentially harmful resources. Solar energy is completely clean, which means you can use your solar tubular lights to brighten up your office without harming the environment at all. 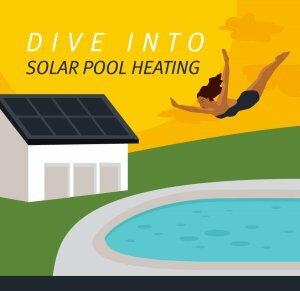 Many people use solar panels in Ocala, FL to heat their homes, but you can use them to heat your pool, as well. The best part is that there isn’t even much that you’ll need to do, other than understand how exactly your solar pool heater will keep your water warm. All this entails is setting up your unit to your desired specifications, heating up the water, and making sure your sensor shuts off when necessary. If you would like some more insight, read on for a step-by-step guide to how your solar pool heater works . Solar panels are all about convenience, and your solar pool heater should be no different. If you want to make sure you enjoy this convenience, you’ll need to start by setting up your solar system unit. The good news is that this is a simple process, and your solar pool heater will continue to automatically adjust to the temperature you command. Solar pool heaters have automatic control units, so you can expect your pool to be at the desired temperature whenever you feel like taking a dip, so long as you have the control unit set properly. The automatic control unit on your solar pool heater will recognize any changes in your pool water’s temperature, which is key when it comes to keeping your pool perfectly comfortable. The water that you get through your pool pump will be cold at first, but the solar collectors will spring into action before you feel the chill. Your pool solar system will use the sun’s rays to heat up your water while it comes in through the collectors, so you can enjoy a nice, comfortable swim. You might wonder how your pool solar system will work during the nighttime. Your sensors will shut off when sunlight becomes sparse, and the system will drain the collectors of their water as well. In this way, your water will continue to stick to the temperature that you had set for your solar system rather than cooling down. While there are many different ways to power your home , it’s always a good idea to do it in the most responsible way for yourself and the environment. When it’s available, solar power can be a great way of generating power for your home, and Florida is one of the best places for it. Solar power can help you reduce your carbon footprint, and it can be an economical choice for your household. Take a look ahead to find out why solar power might be a smart choice for your home in the Villages, FL. There’s much to love about Florida, and the sunshine is not the least of the perks. In addition to giving you your vitamin D and a base tan, Florida sunshine can also provide an excellent way to power your home. Solar panels make for a clean source of energy, and all they need to function is a sufficient amount of sunlight. If you live in Florida and get to enjoy nearly unlimited access to sunlight, then solar panels for your home may very well be a wise choice. One overcast day won’t make or break your solar panels, so you can expect to go through a relatively efficient operation. We only have one planet Earth, and it’s our job to take care of it. While everyone needs power, not everyone gets their power in the most responsible way. If you want to be as environmentally responsible as you can, then you should consider looking into solar panels for your home. Solar panels will make your carbon footprint a little bit lighter, which is good for the planet as well as your sense of environmental responsibility. Efficiency is key when it comes to saving money and keeping your appliances in working shape. In order to maintain a high standard of efficiency in your house, use residential solar panels. As one of the more efficient types of power, a solar system can save you a significant amount of money on your energy bills throughout the course of its life. Your home is your place of safety and comfort, so you should make sure it feels exactly the way you’d like it to. If you’re considering residential solar panel systems in Ocala, FL, then you might be looking for an attic fan . This type of investment helps you control the temperature of the air in your home, but which model is right for you? It’s a good idea to take a look at your options so you can choose the perfect attic fan for your home, especially because there are quite a few to survey. Once you have decided that your house could benefit from an attic fan, the next step is to decide which one you want. There are a couple of factors to consider when you’re looking over your options, but one of the most important is the size of the fan. Think about the size of your house and how frequently you’ll be using your attic fan, and then consider whether a 12, 24, 36, or 60-watt fan will best suit your needs. You’ll also need to choose an attic fan model that works with the type of roof you have, which may be flat or sloped. Since you need hot water in your house, you’ll need to decide exactly how you’re going to heat your water up. Solar panels on houses in the Villages, FL, can be extremely helpful and good for the environment, but can you use solar energy to heat your water? Thanks to Sun Bandit, you can enjoy consistent and reliable hot water while reducing your carbon footprint. Feel free to read ahead if you’re looking to pick the perfect Sun Bandit water heater for your needs. Going green is always a good idea, especially when it can save you money and help keep the globe healthy. If you’re thinking about how you can act in the interest of the environment, consider choosing a Sun Bandit water heater. Sun Bandit water heaters use solar energy to heat your water, which is sustainable and economically favorable. There are quite a few options to choose from, however, so you’ll want to make the right decision. In order to choose the perfect model, consider how much hot water you need and how many modules you want. You can also talk to your solar panel specialist if you could use some advice in choosing the ideal Sun Bandit water heater. If you wish to install a pool heater, then it is time to look into a pool heating solar system in The Villages and Claremont, FL . There are unfortunate myths surrounding pool heating solar systems—such as solar panel maintenance and heating time—but these myths are easily debunked. Let’s take a closer look at the truth behind the myths of solar pool heaters. Myth #1: Solar heating takes too long. There is a common myth that solar pool heaters only heat up one degree per day. This myth is completely false. The amount of heat that your pool gains depends upon the size of your solar system. If you have several solar panels attached to your pool’s heater, then you can expect a warm and comfortable pool almost every day. Most solar pool heating systems are as effective as gas heaters, and they will cost you significantly less in energy costs. Myth #2: Solar panels require maintenance. Pool heating solar systems are incredibly effective and require very little maintenance over their lifespan. Solar panels are made to withstand poor weather, and they come with great warranties. In addition to their low maintenance requirements, certain portions of solar pool heating systems can last up to 30 years and longer. This quality of long life means that your maintenance costs and heating costs will remain low for many years and potentially for decades. Myth #3: Solar heating isn’t worth the trouble. 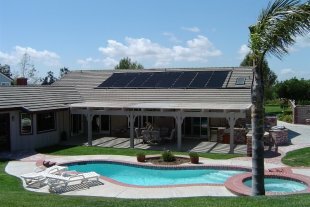 You may believe that converting your pool and house to a solar heating system is not worth the time and trouble. However, solar systems are often less complicated and less dangerous than traditional gas heating systems. Solar systems will also reduce your heating costs significantly, which will save you money within a short time after installation. Solar systems will also heat your North Central Florida pool frequently throughout the year, which will make your pool more enjoyable and accessible. Are you searching for smart investments to make for your home? If so, then increasing your attic’s ventilation with a solar attic fan can be a good decision. There are a few signs that can indicate you would benefit from having a solar attic fan in Ocala, FL. It’s not uncommon for homeowners to wonder why they might need ventilation for their attic. When your attic is ventilated by a solar attic fan, this can help the space stay cool in summer as the appliance exhausts the hot air outside. 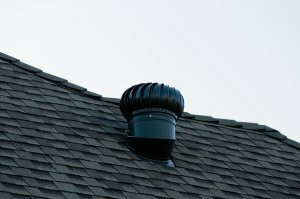 Also, if you have asphalt shingles, then having a properly ventilated attic is probably required to meet the manufacturer’s warranty requirements because an overheated attic can expose the shingles to higher temperatures. Finally, attic ventilation is important in winter as well; humidity in the air can accumulate in this part of the home in the cooler months, where the moisture lingers and can contribute to mold growth and rot. You want to save on utility costs. 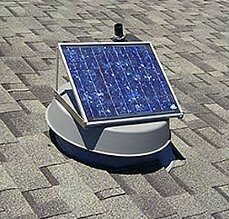 If you’re like most homeowners and you’re interested in saving on your energy costs, then you could benefit from the installation of a solar attic fan. During the warmer months, an attic that lacks ventilation can exceed temperatures of 150º F, which can heat up your home and force your air conditioner to worker harder to keep your home comfortable, resulting in higher electric bills. These devices can be used to ventilate hot air from your attic in the summer. You want to get the most out of your home. Installing a solar attic fan is a smart way to extend the lifespan of your home’s building materials. By removing moisture that would otherwise accumulate in your attic, these fans can prevent mold from affecting the wood and insulation in the space. Also, because they help keep your home cooler, a solar attic fan can help protect your roofing materials and extend the life of your HVAC unit by reducing the amount of wear it undergoes each season.